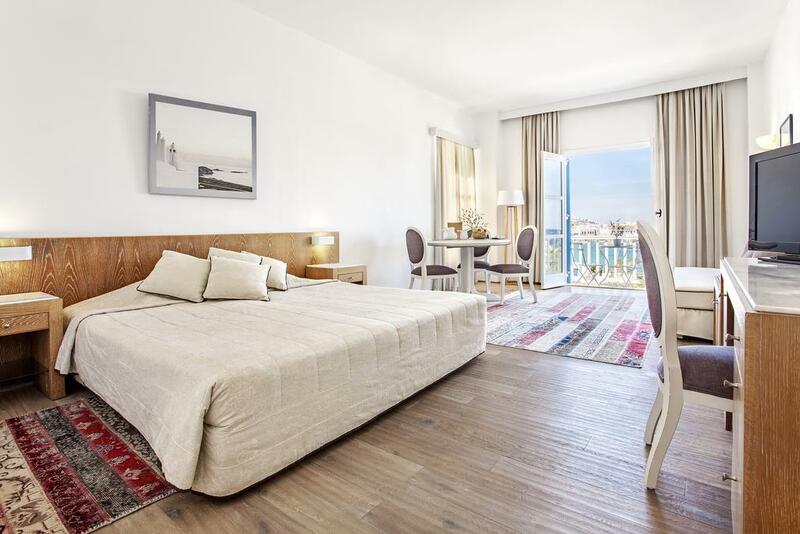 The 4-star Leto Hotel has a wonderful position on the narrow stretch of the Old Harbour beach, right in the centre of the bay of Chora – the capital city of Mykonos. It is perfectly suite for travelers who want to stagger home on foot after sampling the incomparable Mykonos nightlife. 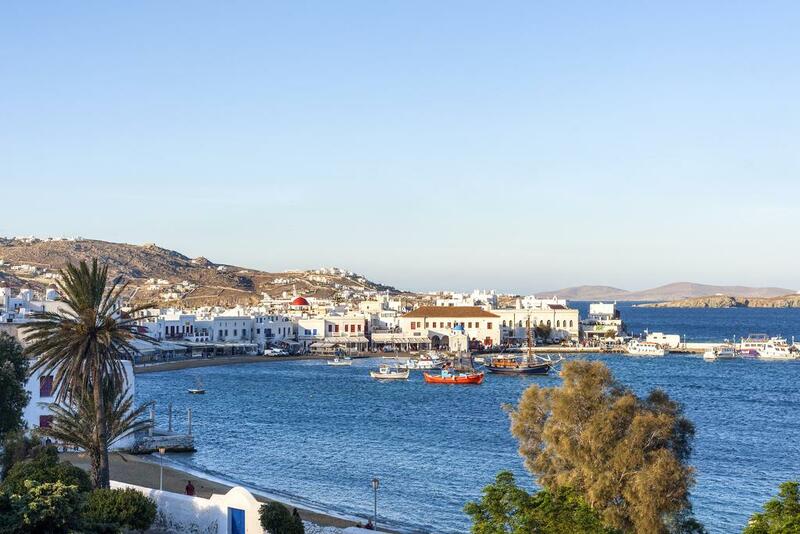 The ferry port, taxi rank, bus stop to the island’s beaches, municipal car park and the permanent buzz of the labyrinthine alleys of Mykonos Town are all less than 10 minutes walk away. 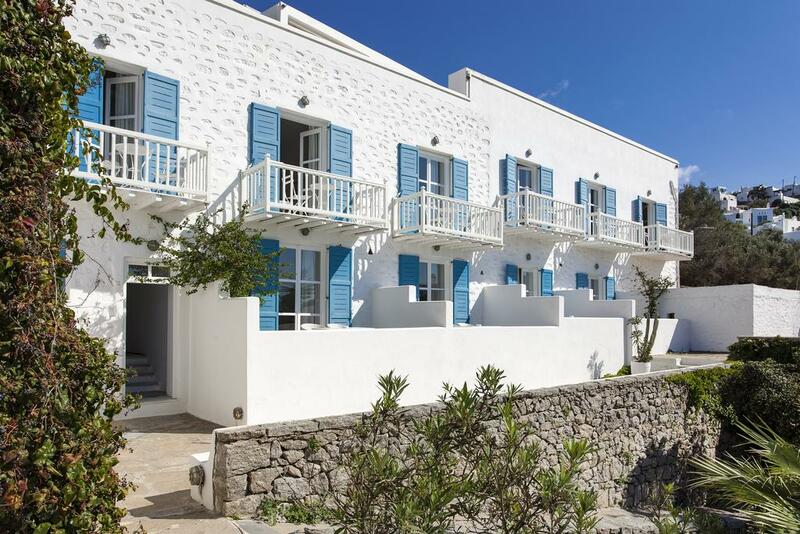 Built in 1953 in the Neo-Classical style, the hotel consists 25 tastefully furnished rooms, all of which have a balcony overlooking the port of Mykonos and the enchanting Aegean Sea beyond. Under palm tree shade, on-site NATURA restaurant serves modern Greek dishes that are influenced and inspired by the environment with mostly local and fresh ingredients. Used to dealing with A-class requirements, this hotel provide full deferential facilities for your relaxing holiday. The seawater swimming pool is pumped and specially filtered from the beach outside. 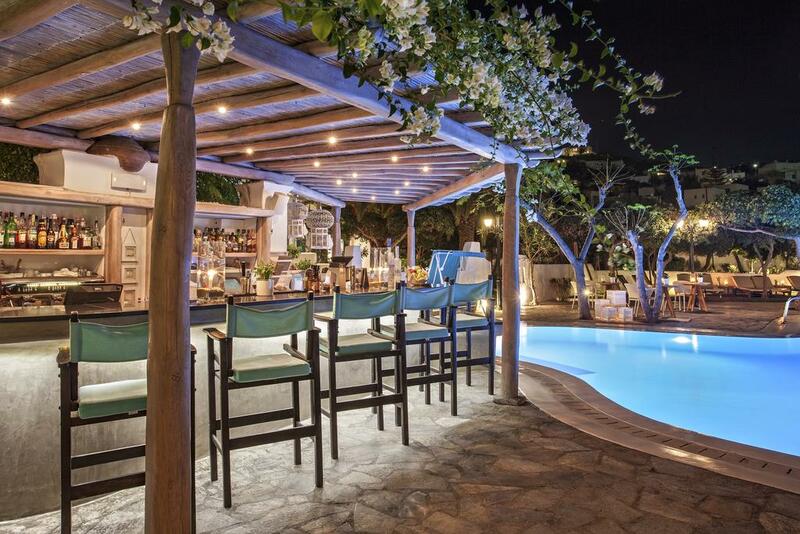 As for the bar, its unique siting in the lush garden ensures it remains one of the most sought-after spots in town.